The perfect blend of modern and vintage glamour, this star burst crystal jewellery set features divine button clip on earrings with a coordinating pendant necklace. 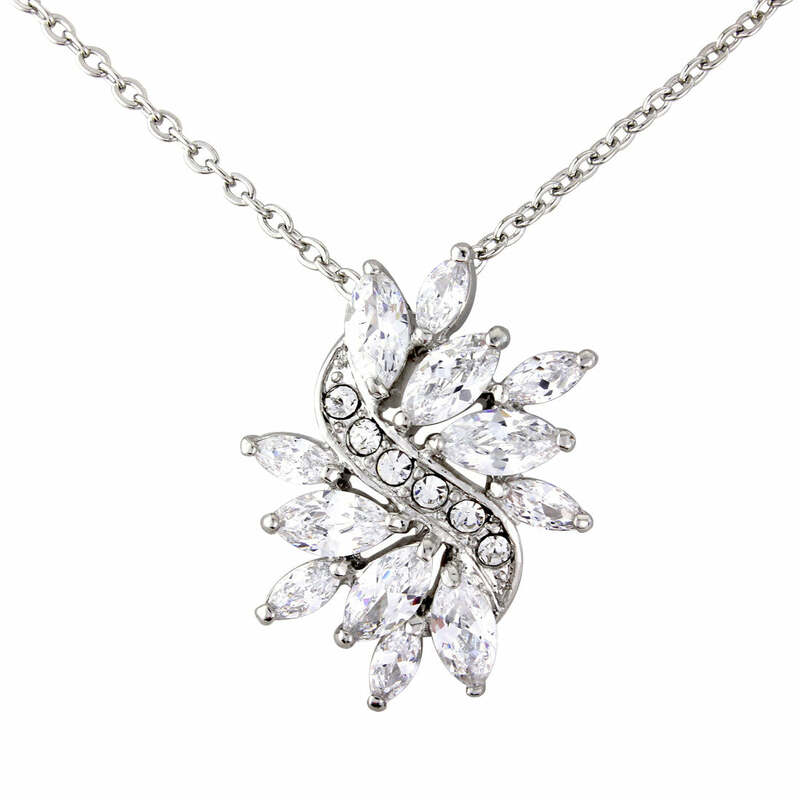 If you are looking for a burst of glamour and elegance, look no further than this exquisite crystal jewellery set. Forties Sparkle comprises a divine pendant necklace and clip on earrings which is reminiscent of the sparkling gems that adored the iconic Hollywood Starlet's of the 1940s. 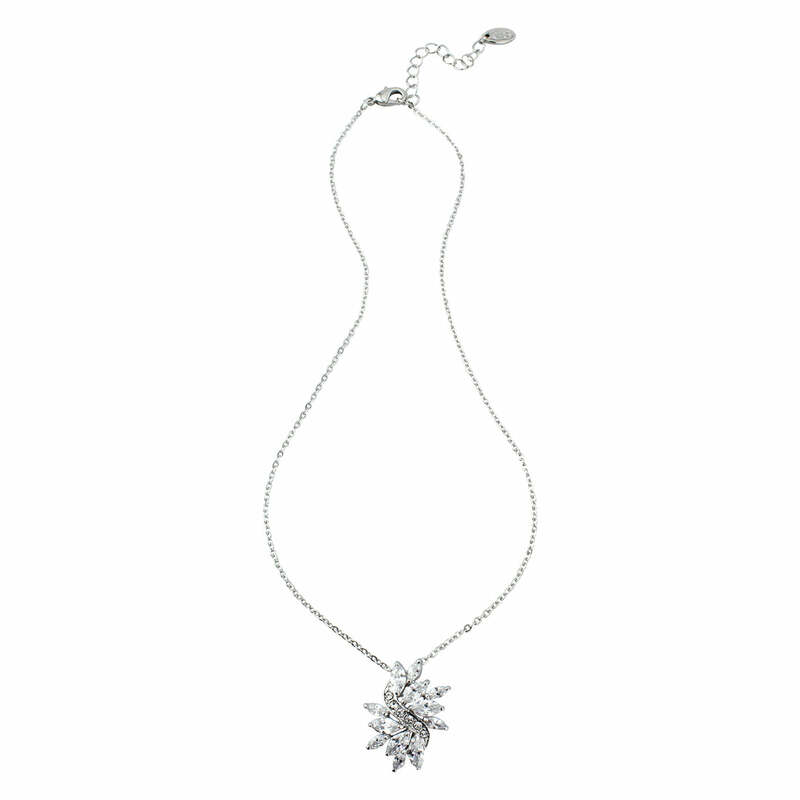 The design features a dazzling cluster of marquise cubic zirconia with the pendant sitting on a dainty detailed silver tone chain. 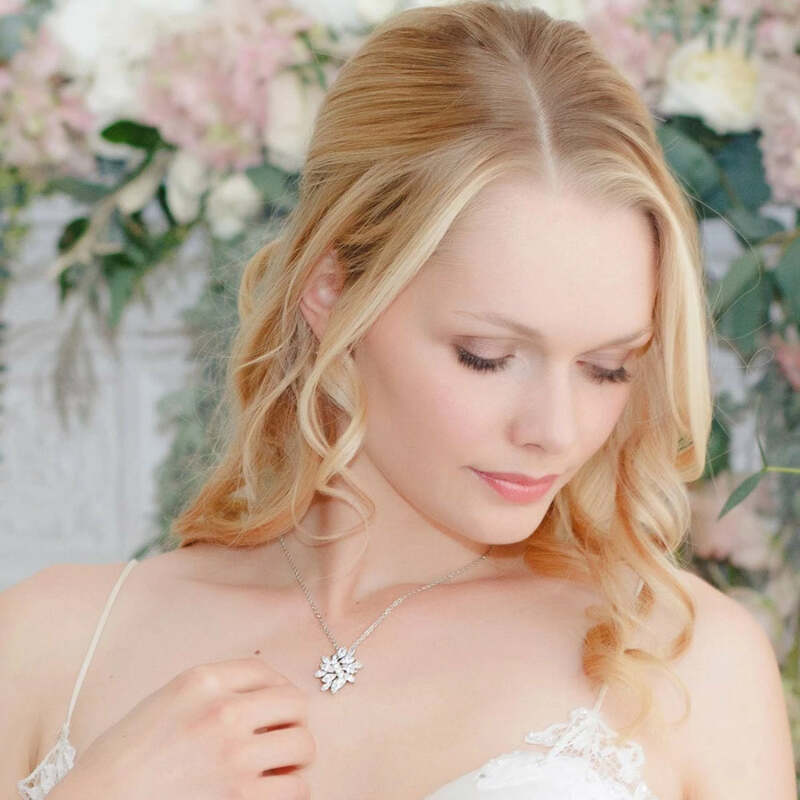 The perfect wedding jewellery set with clip on earrings for brides who adore a blend of vintage and modern style, this fabulous duo complements the most glamourously embellished to the most simple wedding gown. Also a divine choice for your bridal party, this delicate two piece would make a beautiful bridesmaid gift which your girls can wear on your special day and time and time again after. A go-to set for adding a hint of understated glamour, the versatility of Forties Sparkle will delight every stylish woman with non-pierced ears.Perfect to take you from day to night in style, team with a chiffon blouse for lunch with friends or add sparkle to a chic shift dress for a romantic dinner date.